Cooler temps make me want to stay inside and just cuddle up on the sofa. 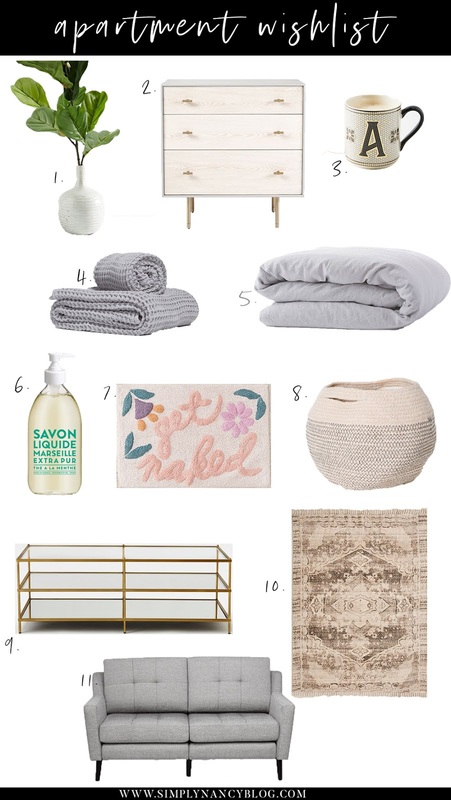 So naturally, I started browsing Pinterest for some cozy home inspiration. I definitely need it because I'll be moving into a new apartment with my boyfriend at the end of fall. We are basically starting from scratch with decor and all so I'm really excited to get moved in already so the fun can begin! As far as style goes, I really want it to have a modern yet cozy feel. A place that feels like home but more on the 'minimal' side. At least that's where my thoughts are right now. I want a lot of cozy fabrics, faux fur, woods, plants, white, grey and black. If you need some home inspo check out my home board. Faux plants are perfect for those dark corners that need a little life but you know a real plant wouldn't survive. Or you know, if you just don't have a green thumb lol. Love the look of mid-century style furniture. I'm one of those people that love collecting cute mugs and this one is adorable. Obsessed with the tile look! These look so plush and absorbent. I found out about parachute some months ago and now I actually have a good excuse to shop from them. This duvet cover looks like a dream and will be the first thing I save up for! I was debating between buying cute bottles to put soap in or just buying soap that already comes in aesthetically pleasing bottles. Then I came across this brand that I've seen all over bathroom photos on pinterest. It's a bit of a splurge for hand soap but it's cute. That's what matters right! UO has some of the cutest bath mats I've ever seen. Not only is this one so adorable but it has tons of good customer reviews too. I'm obsessed with baskets like this for storage. It's a much prettier way to hide the mess. But recently I saw where someone actually used it as a pot to hold their fiddle leaf fig in - such a cool idea! The multiple levels on this table instantly caught my eye. This gives me plenty of space to style it with books and pretty knick knacks. The reviews on this rug mentioned how it was so soft and that's all I had to read. SOLD. Our requirements for a sofa include being comfy, grey, and easy to move. That last one is especially hard to come by when couch shopping. But then we discovered burrow. Their sofas come packed in boxes and they have a modular design which means you can add or remove sections depending on your current situation. Apart from that they're also sustainable, stain resistant, and have a hidden USB charger. Coolest couch ever. These bar stools aren't pictured in my collage but I had to at least mention them for anyone else that might be looking for some. They look so good and the price is just right. I'm excited to share this decorating journey with you guys. I won't be moved in until the end of November but if there are any home posts you'd like to see please let me know!